The River Adur rises four miles south of Horsham and runs south-east skirting Coolham, Shipley and West Grinstead before meeting the eastern tributary midway between Ashurst to the west and Henfield to the east. The eastern tributary rises in two tributaries south of Haywards Heath, and south of Burgess Hill that meet at Twineham. The River Adur reaches the sea at Shoreham-by-Sea where the mouth has been deflected two miles to the east by the longshore drift. Going upstream with the incoming tide through the centre of New Shoreham under seven bridges before the tide reaches the village of Bramber after 6.4 km (4 miles). The river then passes about one mile east of the town of Steyning. The estuary is tidal for 17.9 km (11.1 miles) from the mouth to Bines Bridge on the B.2135. The tidal range where the River Adur, now at Kingston Buci (part of Shoreham-by-Sea), meets the sea through the entrance to Shoreham Harbour, is up to 7 metres above Chart Datum on an equinoctial spring tide. About 1:00 pm on a high tide with just a glimpse of the mud banks, I estimated there were about two thousand Lapwings in a single flock that split into two waiting to land. About a dozen Mallards waddled around the water's edge of mudflats west of the Footbridge, In the late afternoon a extraordinary band of white Advection Mist crept over from the Shoreham Airport and New Monks Farm area which in about fifteen minutes first of all obscured the view of the Toll Bridge from the south-east by the Railway Viaduct and then the view of Lancing College disappeared under the cloud. Lancing Clump could just about be seen above the low-lying mist. Picking the right state of tide effects the numbers of birds on the estuary. On a flood neap opposite Shoreham Airport, the birds were exiguous. Only the common birds were present and not many of them, a handful of Redshanks (their warning calls and orange legs were most distinctive), a dozen of so Dunlins, about 30 Lapwings (a further thousand were on the airfield), one Grey Heron, two Cormorants flying overhead, a few Mute Swans and just the occasional Black-headed Gull. Two Little Egrets were seen north of the A27 Flyover. There was a single Mallard right the bend in the river east of Cuckoo's Corner. Underneath (just to the east of) the Footbridge, a Little Grebe dived under the water at low tide. A large handful (at least eight) of Ringed Plovers were spotted on the mud on the south side of the river east of the Footbridge and just before the Waterside Inn on the same longitude as Ferry Road. Ringed Plovers are more familiar to me as an all the year round and frequent and occasional breeding bird of the beach pebbles. However, the resident population is supplemented by winter visitors and migrants that are more numerous and likely to be found on the estuarine mud flats, where they can be common (over 100 birds). These small birds can be difficult to identify amongst the other waders when the tide is low. At first there was not many birds of the mid-tide area of mud, just a Redshank, an Oystercatcher (it squealed and flew off), one Grey Plover, a Crow and eleven Swans by the Adur Riverbank Industrial Estate north of the Railway Viaduct. It was only nearer the Toll Bridge that more birds could be seen including between 10 -20 noisy Redshanks, from 100 - 200 Dunlins, 25+ Great Black-backed Gulls, 40+ other gulls with Black-headed Gulls and Common Gulls recognised and probably both Lesser Black-backed Gulls and Herring Gulls as well, one Black Brant (black Brent Goose) feeding on weed in the water, a handful of Crows, and a total of about ten Grey Plovers. There was a Black Brant (black Brent Goose) amongst the Sea Purslane south of Old Shoreham the Toll Bridge on the River Adur estuary on a flood neap tide (5 metres) in the early afternoon. In the afternoon on an ebbing mid-tide (2 metres) the usual birds were on the mud opposite the Airport, a dozen Grey Plovers, a handful of Dunlins and noisy Redshanks, a few Turnstones, and the Black-headed, Herring and Black-backed Gulls (over a hundred gulls in total, probably less than normal) were noted with at least three Little Egrets, as I passed by and the light began to fade. The first Lapwings landed and one flock was about a thousand birds. At least one Crow foraged further up the shore. On the river, a handful of Mute Swans were so familiar that I omitted to record how many there were. 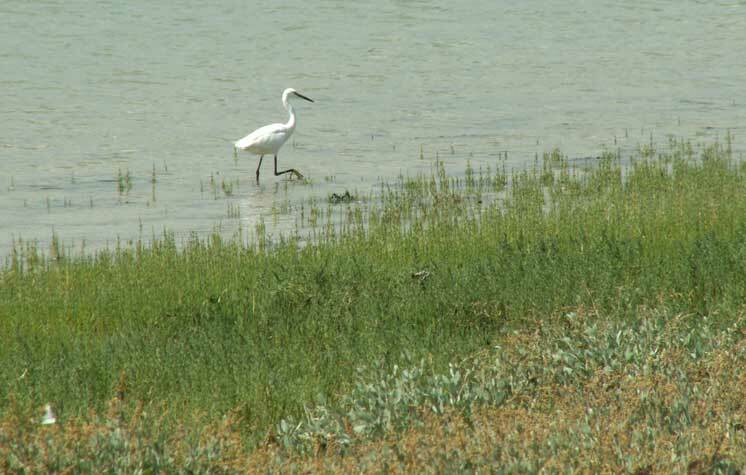 The presence of a Little Egret on the sandbank north of the Toll Bridge is more usual than not. I did notice that one seen in the afternoon had very distinct yellow feet which is normal for this bird, but I had never noticed its feet quite so clearly before. 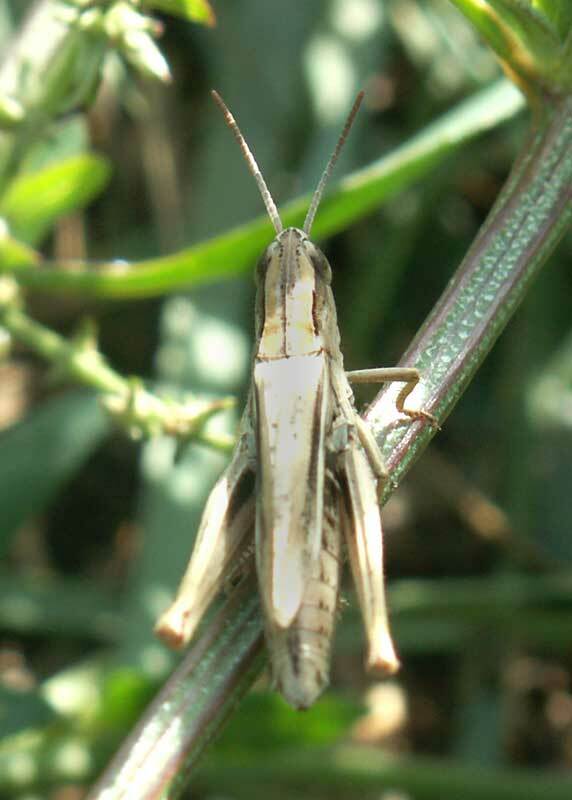 Common Field Grasshoppers, Chorthippus brunneus, were heard stridulating amongst the vegetation on the chalk banks of the River Adur estuary just south of the Toll Bridge and after a few minutes I spotted them crawling and jumping and flying. A Kestrel was perched on the pole until he was disturbed. He is a regular hawk in autumn around the Toll Bridge area of Old Shoreham. A Grey Heron took off flapping its wings leisurely from the edge of the flooded river by the Adur Riverbank Industrial Estate north of the Railway Viaduct. There were a pair of Mallards nearby. The small wader bobbing up and down and feeding at the water's edge at low tide in the fading light was probably a Turnstone. 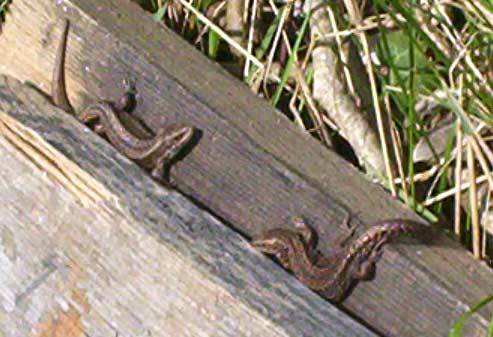 I counted twenty of them near the Railway Viaduct. 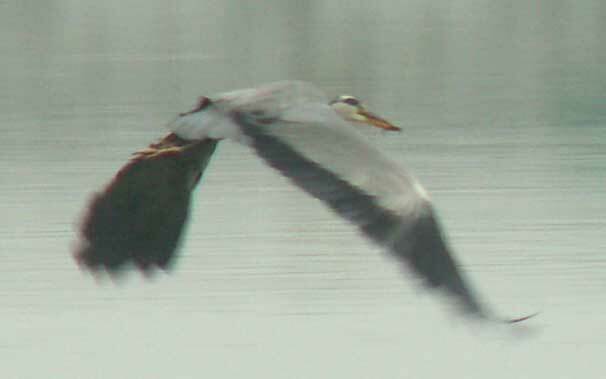 A Grey Heron took flight from a flooded river between the A27 Flyover and Cuckoo's Corner. Later it was fishing in the shallows and took flight again and scattered the gullls following a tractor to the west of the river. Two of five Cormorants were seen to be actively diving a catching fish, probably first year Bass, in the River Adur at half spring tide, opposite the Airport. 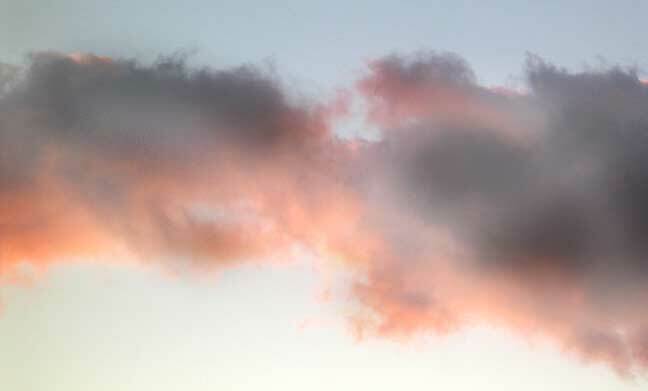 As I drove from Steyning past the Cement Works at 7.15 am I glimpsed something which looked large and interesting, but couldn't find it again when I pulled in at Dacre Gardens. I caught up with it at the Flyover and had a good view of an Osprey with a mob of Jackdaws. It continued to circle and drift down the Adur valley putting up waders and gulls below the Toll Bridge. 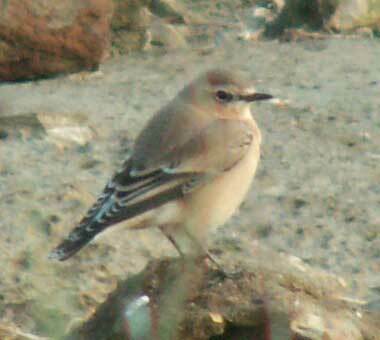 At least two Wheatears and a Pied Wagtail were spotted in passing on the mud and rocks on the borders of the low tide and land near the Railway Viaduct. The four cygnets (with their parent Mute Swans) near the Footbridge were nearly adult size. 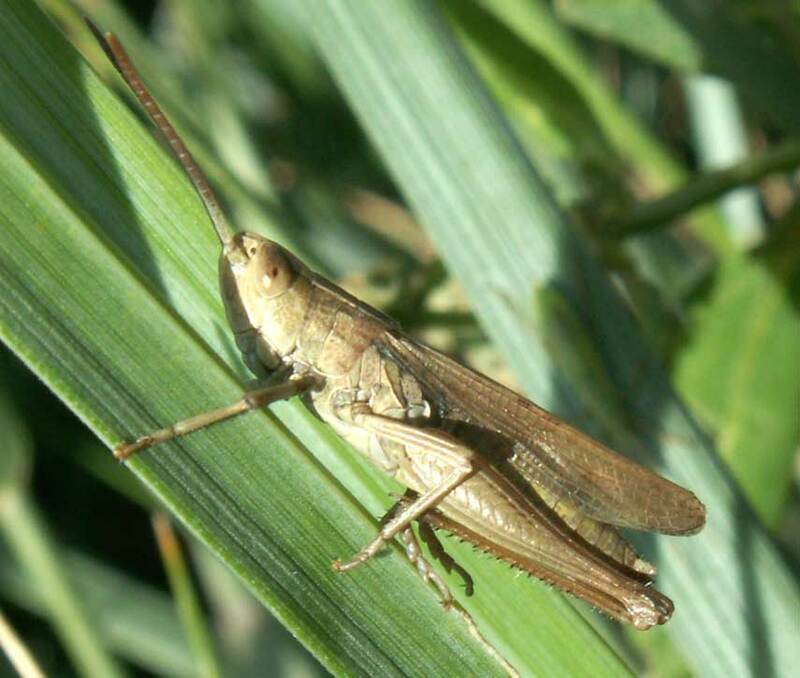 A further look at the grasshoppers on the margin of vegetation above the high tide mark on the east side of the River Adur estuary were definitely two species, the Lesser Marsh Grasshopper, Chorthippus albomarginatus, and the Common Field Grasshopper, Chorthippus brunneus. There were seven Little Egrets between the Footbridge and the Norfolk Bridge on the River Adur estuary on a low neap tide. Six of the Little Egrets were resting under the warm sun (26.6 ºC) whilst a further Little Egret was patrolling the shallow rock pools left by the receding tide. A flock of Lapwings were flying over the Airport, the first time I had noticed them back this autumn (but they have probably been here for some time, I just had not made a mental note of their returm). After the rain I ventured out as the spring tide nearly lapped against the banks of the Adur estuary. 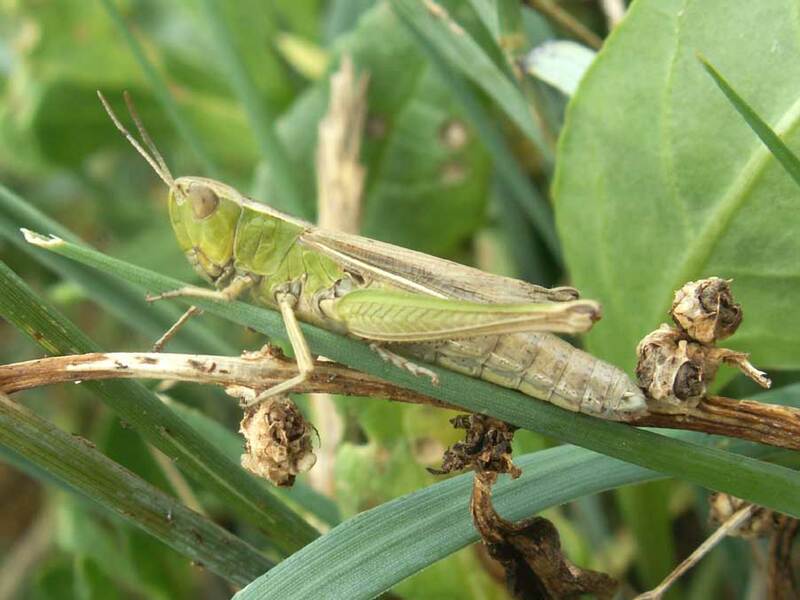 Just south of the Toll Bridge there was still a margin of vegetation above the high tide mark on the east side of the river, with Orache and other wild grasses and plants and this area hosted dozens of active grasshoppers that appeared to jump at least of metre. 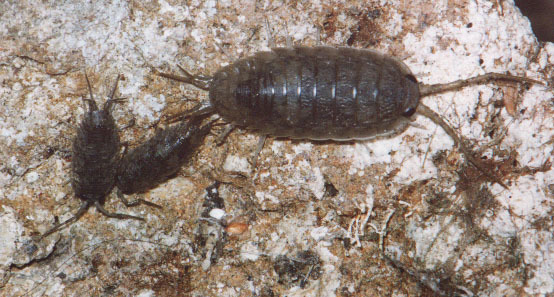 They looked slightly different from the two commonly found on the downs meadows and wastelands on the edge of town. 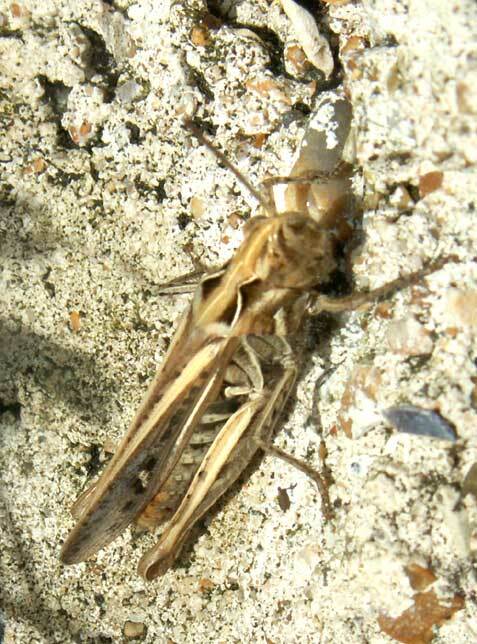 Some of them are the Lesser Marsh Grasshopper, Chorthippus albomarginatus. On the Adur by Shoreham Airport in the morning, there were juvenile Curlew Sandpipers with the Dunlin. Making a quick count scanning with my binoculars, there were at least eighty Mute Swans between the A27 Flyover and the Railway Viaduct excluding the two families with four cygnets each known to be resident on the river and seen by another watcher earlier in the day by Coronation Green. The tide was a mid-to-low neap at 3 metres at 4:00 pm. The four Little Egrets and Cormorants were joined by a Grey Heron. Ripples caused by fish could be seen in the surface waters. There were Grey Mullet fry in the water on another occasion. One of four Little Egrets was seen catching a fish in the shallows of the flood spring tide by the Toll Bridge and their was one Cormorant fishing and one on the tall pole. Fry could be seen including the regular first year Bass and Sand Smelts and what were probably very young Garfish. 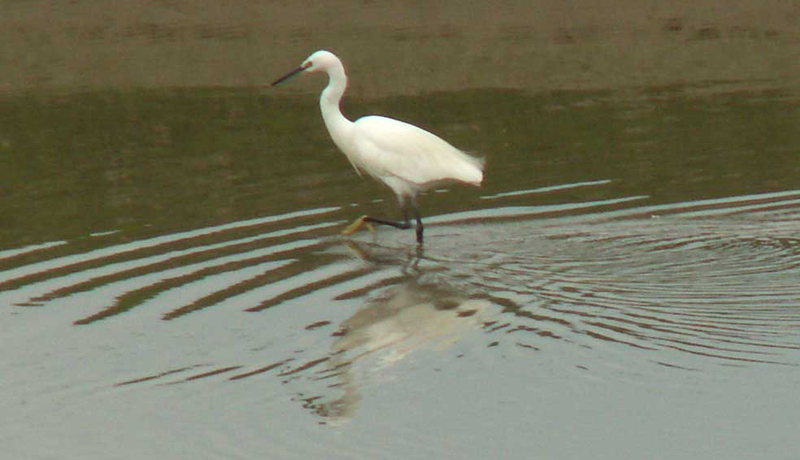 A couple of Little Egrets fed near the Toll Bridge on the low neap tide. A swirl of water noticed from 110 metres away as a small shoal of Grey Mullet fed near the Footbridge at low tide. Two juvenile Herring Gulls rested on the flat calm river. Again, at low tide two Mute Swans were seen with four cygnets underneath the Footbridge just before midday. In the late afternoon (6:00 pm) a minimum of 60 adult Mute Swans were counted between Cuckoo's Corner and the Railway Viaduct including another family of Mute Swans with three cygnets. There were two Grey Herons patrolling the thin line of mud north of the A27 Flyover. On the Adur estuary at low tide, opposite Shoreham Airport, a minimum of 55 adult Mute Swans were counted with at least one Little Egret. There was at least some Mute Swans surviving with four cygnets on the River Adur near the Footbridge. Four cygnets were seen with one adult swan in close attendance and another adult in mid-stream at low tide. NB: Most of the cygnets on Widewater died this year. A quick scan through my binoculars at mid-tide level on the neaps, opposite the airport, failed to discover anything of interest on the mud flats, twenty (30+ were recorded a few days later) or so Mute Swans, a handful of Black-headed Gulls and perhaps two immature Herring Gulls was the extent of the bird life. A Great Crested Grebe, Podiceps cristatus, in summer plumage with an elaborate crest, but a grey back, was on the flooded River Adur at mid-tide between Cuckoo's Corner and the A27 Flyover. 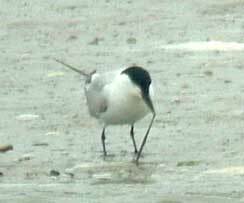 The rare Gull-billed Tern was still present on the Adur estuary opposite the airport arriving on the falling tide about 9.30 am. On the the low spring tide, the Gull-billed Tern could be easily overlooked or mistaken for a gull as it waddled along the tideline and occasionally on to the mud. It spent most of the time about midway between the Toll Bridge and the Railway Viaduct. With its black head and black legs it had to be distinguished from a Black-headed Gull within a few metres of the tern. At first, the Gull-billed Tern was in the company of a Little Egret and it seemed to be pecking at minute food particles, but after a few minutes it caught a ragworm which tangled around its beak before swallowing it. 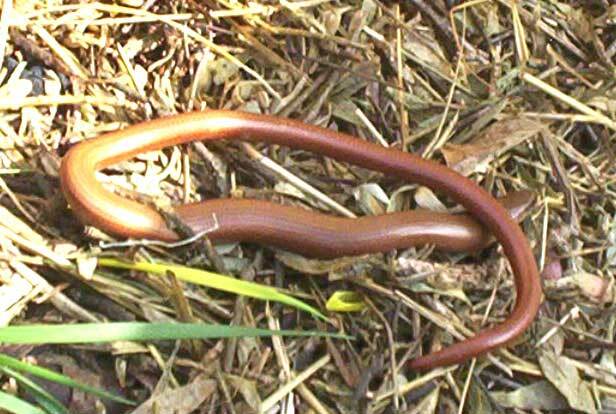 On another occasion, the worm was taken to the water and rinsed before being gulped down. It paused its quest for food to preen at least once. Later an Oystercatcher joined the tideline search as the tide fell to the low of one metre. The Gull-billed Tern, Sterna nilotica, was still present on the Adur estuary opposite the airport to at least 8.10 am giving good views, although it is a bit flighty. This is a rare bird in Britain and Sussex. 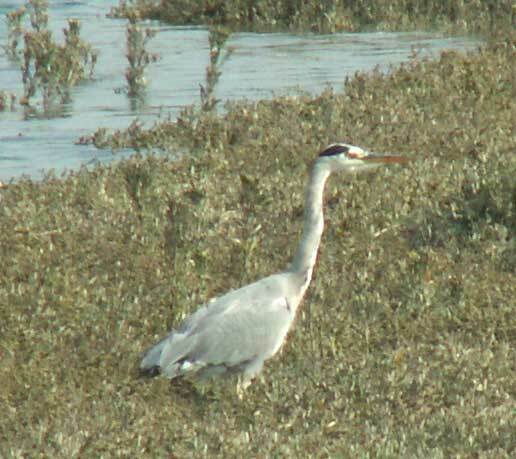 A Grey Heron was stalking in the low tide shallows within sight (through the binoculars for a clear close-up view) from the Toll Bridge. It caught a small fish and with a little bit of difficulty it swallowed it, too quick for my binoculars. A first summer Glaucous Gull, Larus hyperboreus, was seen and identified on the Adur mudflats north of the Railway Viaduct from 1:30 to 2:15 pm and longer. This is very likely to have been the gull seen by me two days before. The description of the gull I saw matched that of a Glaucous Gull, but I was inexperienced and did not get a close enough look to make a positive identification. 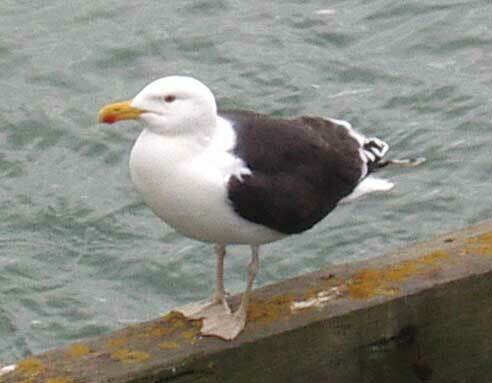 The Glaucus Gull is classified by the Sussex Ornithological Society as a "very scarce" Winter Vagrant or Passage Migrant. 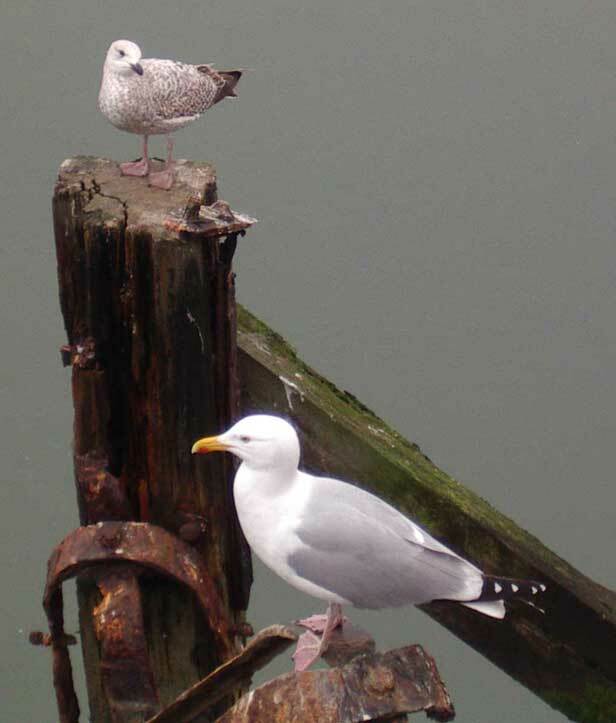 This gull species may return to the same area regularly and one Glaucous Gull has been seen on the Adur before. The Glaucous Gull is a northern species that breeds in Iceland. On the early afternoon low tide mud flats opposite Shoreham Airport, about 250 gulls congregated of five recognisable species: Great Black-backed Gulls, Herring Gulls, Lesser Black-backed Gulls, Common Gulls, Black-headed Gulls and one unidentified speckled white gull that lacked any black tail feathers. This large gull was a bit of a mystery; a good look through the binoculars indicated its tail feathers and overall appearance was different from the other gulls. Even the other immatures had darker tails: I made a careful comparison. 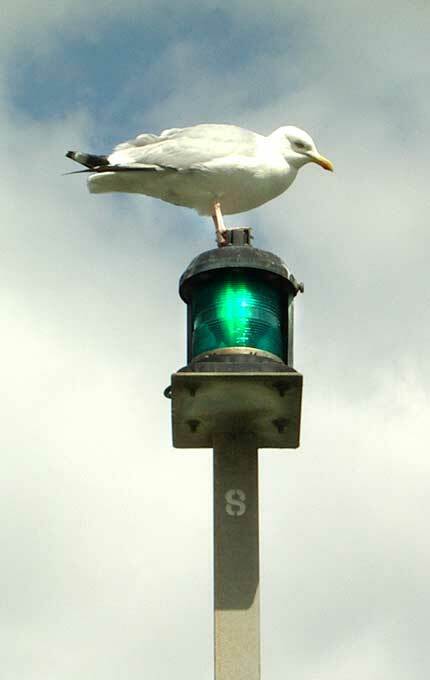 The bill and leg colour of this gull were not discerned. 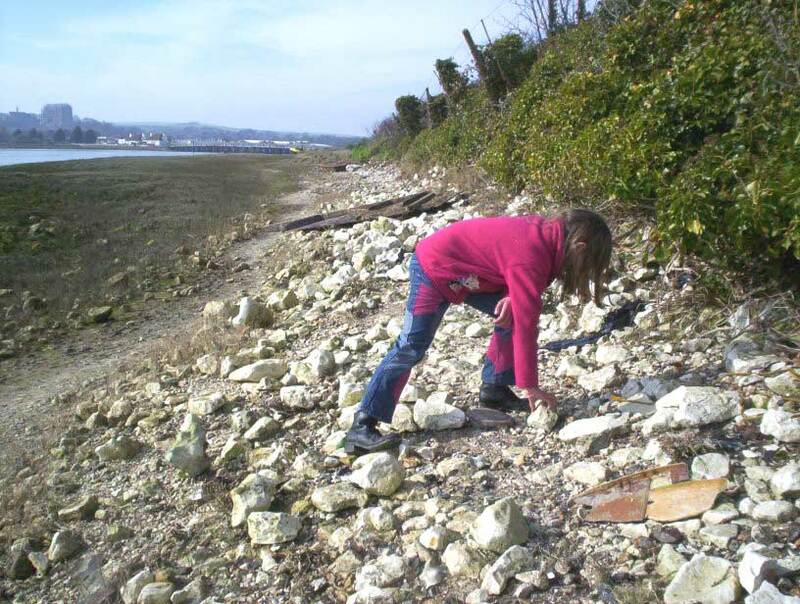 Rock turning and searching amongst the broken flint walls and hulks down by the River Adur estuary at low tide (midway between the Toll Bridge and the Railway Viaduct on the eastern bank) produced the first discoveries of Slow-Worms and Common Lizards of the year. 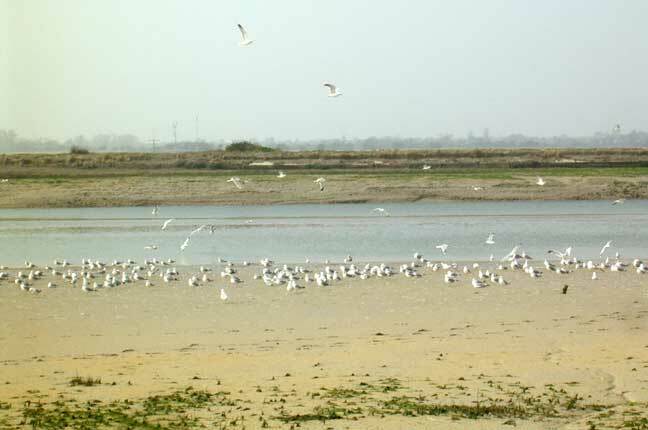 On the low neap tide there were over a thousand gulls of at least three species on the mud flats between the Railway Viaduct and the Toll Bridge. Through the binoculars it could be seen that the large majority of the gulls were medium-sized with distinct pale green legs, which are Common Gulls. There were more than a handful of Herring Gulls, and a few Great Black-backed Gulls and Black-headed Gulls. An adult Mediterranean Gull was seen on the River Adur just south of Toll Bridge around midday at low tide (low neap tide at 2.4 metres WX Tides). As air temperature (10.7 ºC) went into double figures for the first time since 12 February 2005, about one thousand* Lapwings circled the River Adur by Old Shoreham on the receding tide (WX Tide 4 metres at Shoreham Harbour) about 2.00 pm waiting for enough mud to appear for the flock to land. They are easier to count in the air and were in three flocks of 300 to 350 birds in each. On the River Adur, the four ducks around the first bend north of the A27 Flyover, were four Pochards which are unusual on the tidal river; their maroon heads of the three males most distinctive. Further north on the bend of the main river by Cuckoo’s Corner, four Little Grebes, swam and dived in the flat calm water. A pair of Mallards were on the flooded freshwater stream that ran parallel with the river south of Cuckoo’s Corner. On the Adur at mid-tide, two Little Grebes were diving underwater near Cuckoo’s Corner. I attempted to surprise one as it surfaced, but it saw me and skittered across the smooth surface of the river like a miniature Moorhen. About a dozen Redshanks were easily spotted and there were probably more on these waders on the river. North of Old Shoreham Toll Bridge two Little Grebes spent most of the time diving repeatedly under the surface of the River Adur estuary on a rising neap tide at about 2.5 metres (two hours after low water). On the estuary between the Railway Viaduct and the Toll Bridge, there were hundreds of gulls and waders: Dunlins (100+), Herring Gulls (100+), Lapwings (100+) with the tide not quite low enough for them to congregate, Black-headed Gulls, Greater Black-backed Gulls (30+), Grey Plovers (30+), with a handful of Crows, Redshanks and Mute Swans, but no Cormorants or Little Egrets seen as I passing by with a two minute scan with my binoculars.